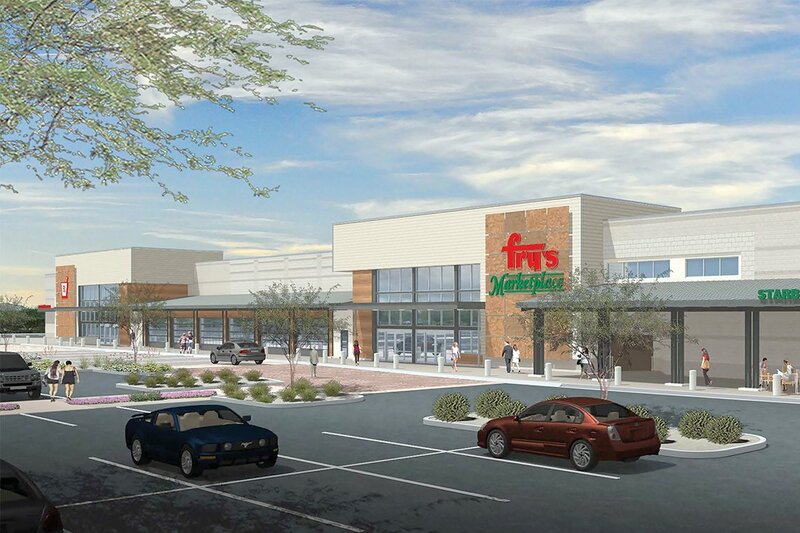 Site construction continues for Fry’s Marketplace, anchoring our community’s newest commercial center at the corner of Jackrabbit Trail and Indian School Road. Part of the reputable and national Kroger grocery retail family, Fry’s closed in February 2017 on the approximately 123,000 square feet Village Grove at Verrado site. Fry’s has not yet released its opening schedule for this Marketplace storefront, which will serve Buckeye and the greater West Valley.